Mazda has unveiled a new small SUV at the Geneva Motor Show. 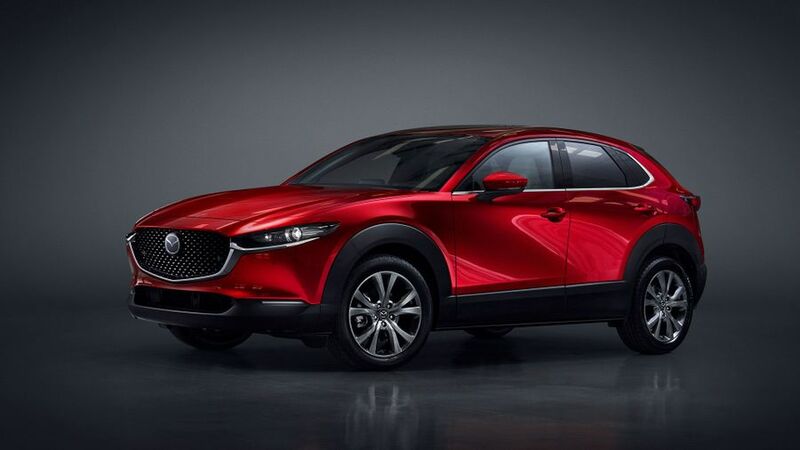 Based on the recently released Mazda 3 hatchback, the car will sit between the CX-3 and CX-5 in Mazda range of SUVs. However, as the new car is named the CX-30, we wouldn’t be surprised if there was a reorganisation of Mazda’s naming conventions on the horizon, although no such changes have been confirmed. The car will go up against super-popular family cars like the Nissan Qashqai, Seat Ateca and Skoda Karoq. Detailed technical specs are still unavailable, but we’d be staggered if it weren’t offered with the same engines as the 3, meaning a 122 horsepower 2.0-litre petrol with a mild hybrid system and a conventional 1.8-litre diesel with 116 horsepower. 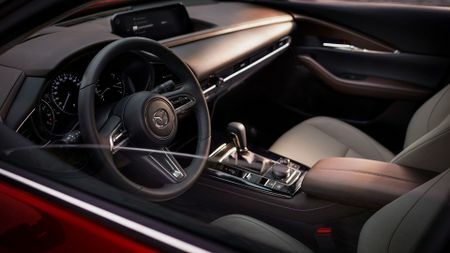 Like the 3, it’s also likely to get Mazda’s interesting SkyActiv-X engine, which uses compression ignition, effectively merging the way a diesel and petrol engine work. It's supposed to mix the responsiveness of a petrol engine with the economy of a diesel. Other than that, very little is known about the new car. Nine body colours will be available, the boot will have a capacity of 430 litres and a powered tailgate will be an optional extra, but that’s about it. Prices are also still a mystery, as is the precise on-sale date, but we do know it’ll go on sale before the end of this year. Interested in buying a Mazda ?